Features one hundred of the most spectacular interiors from across the world, spanning the entire 20th century onwards. This title includes interiors assembled by artists and fashion designers, architects, interior and set-designers, bringing together diverse design talents from ... read full description below. 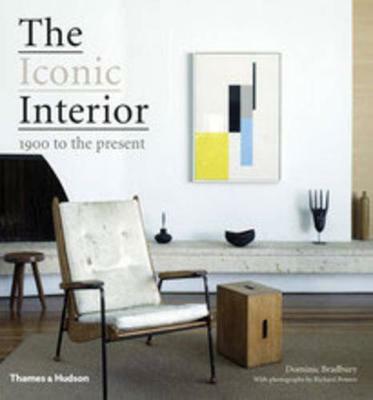 This substantial book features one hundred of the most spectacular interiors across the world, spanning the entire 20th century to the present day. It includes interiors assembled by artists and fashion designers, architects, interior and set-designers, bringing together diverse design talents from Piero Fornasetti and Coco Chanel to Alvar Aalto, Marc Newson and Matthew Williamson. Twenty short profiles are presented in the introduction, with a single iconic photograph and a concise, informative text; eighty are profiled at length, in chronological order, with superb colour photography and texts recounting the stories of these remarkable designs. Representing every style from minimalism, Art Nouveau and Neo-traditional to Gesamtkunstwerk creations that defy definition, these iconic interiors are elegant compositions that endure as lasting creations.